Ultimate tip for crossing the street: Just keep walking. Motorcycles avoid you. Instinct tells you to avoid them but in this bustling city, motorists are the ones who avoid you. This makes crossing the streets of Ho Chi Minh City extra challenging. On one hand, you're trying to stop every other step because of an incoming vehicle... but on the other hand, your mind tells you to keep walking because you know they'll avoid you. Such struggle! Though shallow, this should be one thing on everyone's itinerary. It's great practice, though equally dangerous. If you've crossed the streets here, crossing any other is a piece of cake. 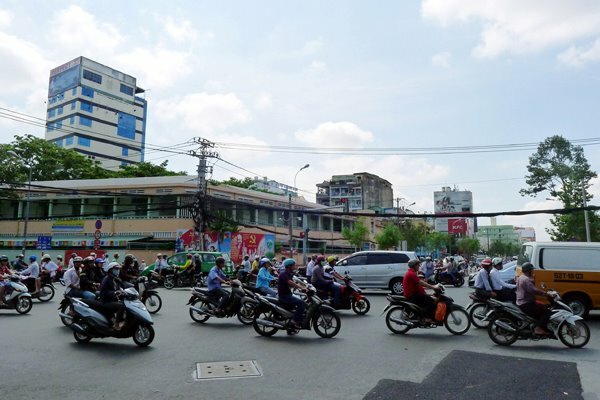 Here's a silly video of me crossing to get to Ben Thanh market.